Serbia’s political life is heating up in August as discussions about its relations with Kosovo have reached frantic speed, varying from a possible partition of its former province to exchange of territory and border changes. EURACTIV.rs reports. A comprehensive agreement with Kosovo, whose 2008 independence Serbia does not recognise, is one of the prerequisites for Belgrade’s progress in moving towards membership of the European Union, which the country has been negotiating since 2014. In a rare public comment on Serbia-Kosovo coming from Europe, German Chancellor Angela Merkel said she was opposed to the idea of tinkering with borders in the Balkans. Serbian President Aleksandar Vučić, who wants the Serbia-Kosovo border to be reviewed, conceded that the entire western world saw Kosovo as an independent, sovereign and indivisible territory, but he also said that a final solution for Kosovo would not be found quickly. “I advocate, and that is my policy, demarcation with the Albanians. The fact that we have a territory where it is not known what belongs to whom, that is always a cause of potential conflict,” Vučić said this month. 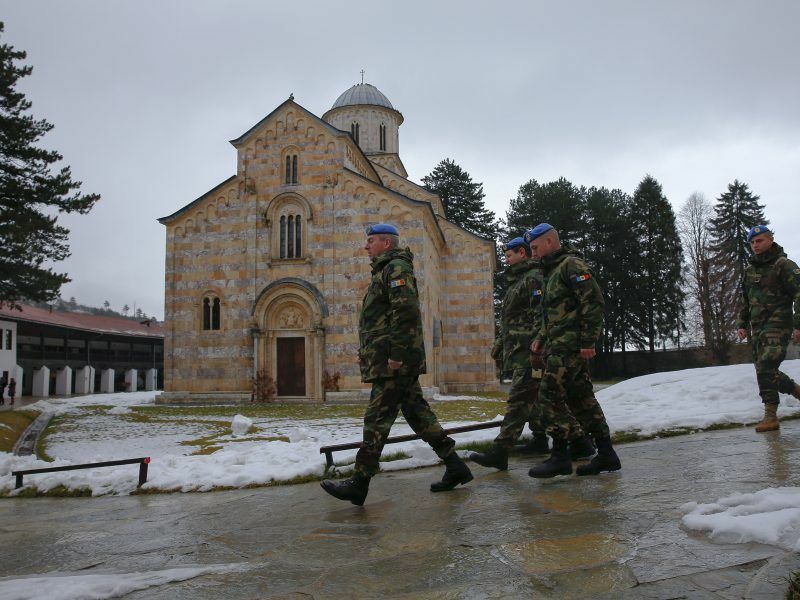 Ten years ago Kosovo declared independence, which has been recognised by the majority of the world’s countries, including 23 of the 28 EU member states. 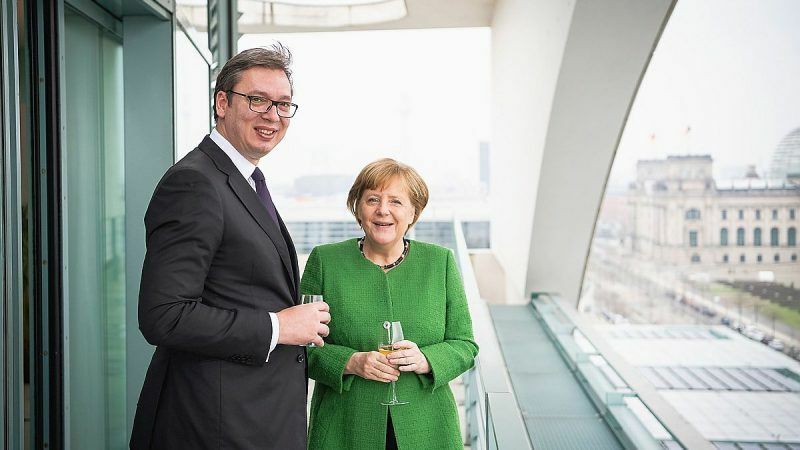 Merkel also said that all of the Western Balkan countries still had EU membership prospects and stressed the importance of cooperation between the countries. Kosovo President Hashim Thaci welcomed the German chancellor’s statement. “All that needs to be done is for the majority of EU member states to convince the five that do not recognise Kosovo, as well as Serbia, to recognise Kosovo within these borders. The sooner that happens, the better it will be for the region,” Thaci tweeted. Thaci told the Belgrade-based Danas newspaper that Serbia and Kosovo were in a critical period of the dialogue, but added that he thought he and the Serbian president were willing not to let the past block the future or jeopardise peace in the region for the next five or 50 years. The Serbian and Kosovo presidents are to meet at the start of September in Brussels, where they are holding the EU-mediated talks on the normalisation of relations. European Commission officials have said that a lasting solution for Kosovo meant a possible, sustainable and realistic solution in line with international law, on which Priština and Belgrade should reach an agreement. President of Serbia Aleksandar Vučić is fashist who was propaganda minister in Milošević goverment who vcommited genocide in Crataia , Bosnia and Herzegovina and Kosovo. This is a same situation thar Goebels would become a german prime minister after world war 2. It is shameful that EU even talks with such person.